Tip: Try serving with a fresh green salad drizzled with light vinaigrette dressing. 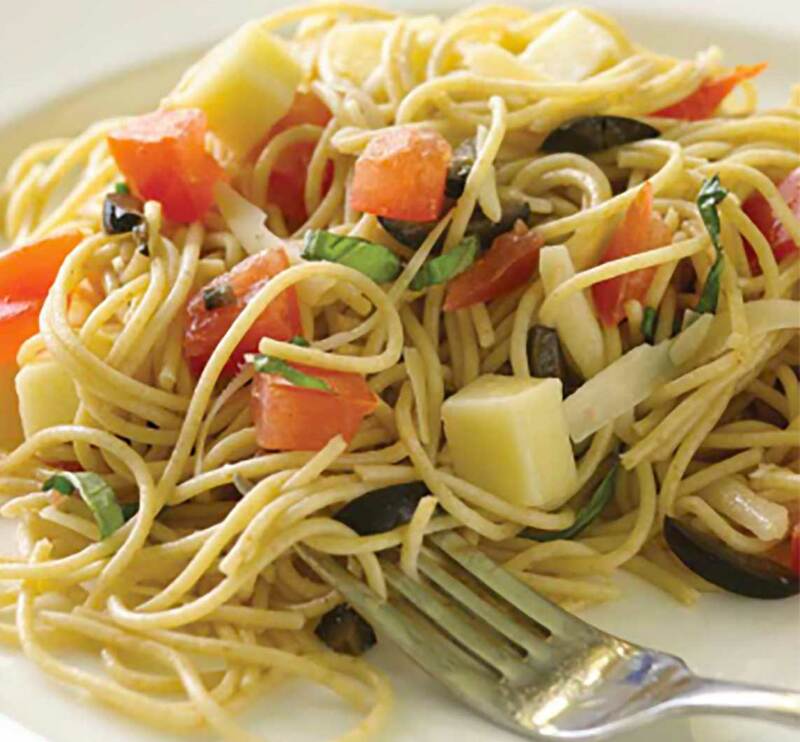 This pasta dish packs 13 grams of protein and only 342 calories and 10 grams of fat per serving. Recipe yields 4 servings. Reserve 1 cup of the cooking water, and set aside. Drain spaghetti. Add the spaghetti back to the pasta pot. Toss with the olive oil and just enough reserved water to coat well. Add the tomatoes, basil, mozzarella and olives. Toss gently until well mixed. Divide pasta evenly among four dinner plates (about 2 1/4 cup each). Serve immediately.